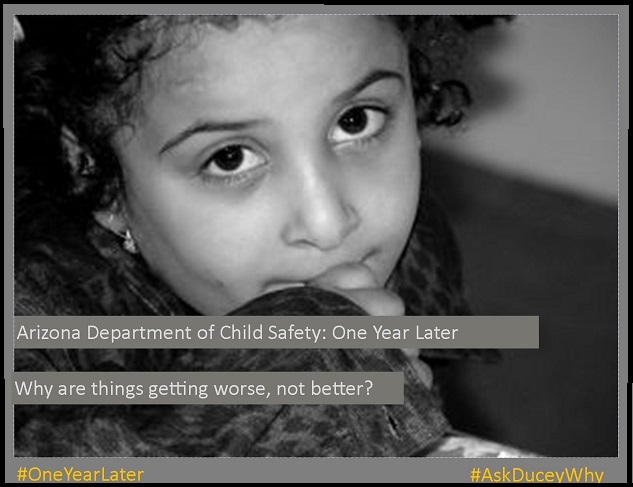 The late data and alarming updates from The Department of Child Safety received an unfavorablereception at a recent Joint Legislative Budget Committee meeting. DCS officials finally provided some of the information they are obligated to report, but Governor Ducey’s handpicked agency director, Greg McKay, didn’t bother to attend. Maybe it was because the report was not only nearly three months late but it also showed that things are getting #WorseNotBetterfor the crisis-stricken DCS. Governor Ducey has failed to show leadership on this issue since he took office. Ducey appointed McKay to head DCS but did not allow legislators to fully vet his qualifications. Ducey’s DCS leadership team also included a deputy director who quit after four months, and an expensive business consultantwho left the agency last month without leaving any clear evidence of his work. Director McKay missing his own agency’s review committee is just the latest grievance. 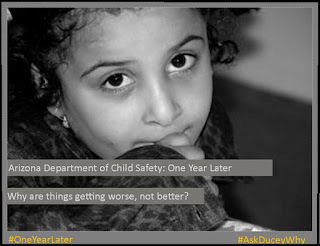 Arizona’s children will not be better off until the governor takes real responsibility. Some are beginning to question how long the governor can continue to support his appointee.